There are two overviews below. 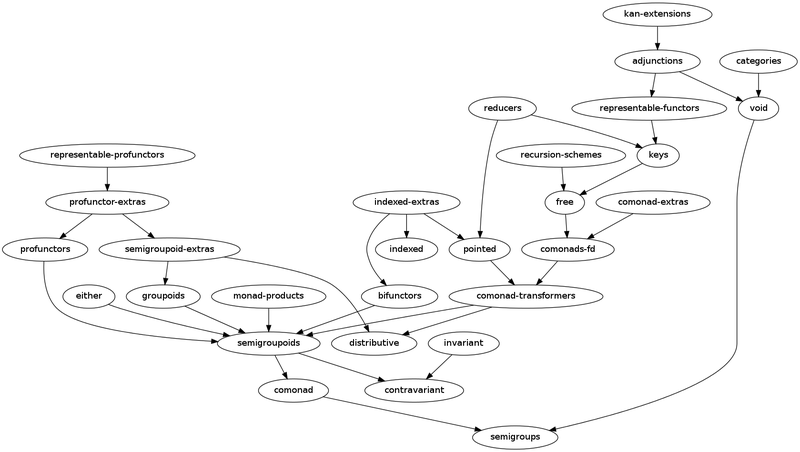 The first is a quick, dependency-order graphical overview of packages. The second is a more detailed (but very incomplete -- help me complete it!) overview mapping each module in the old package into its new location in the new hierarchy. Not all modules have exact analogs; where possible, similar alternatives are listed. Control.Category.Hask: just use "(->)" instead of "Hask"